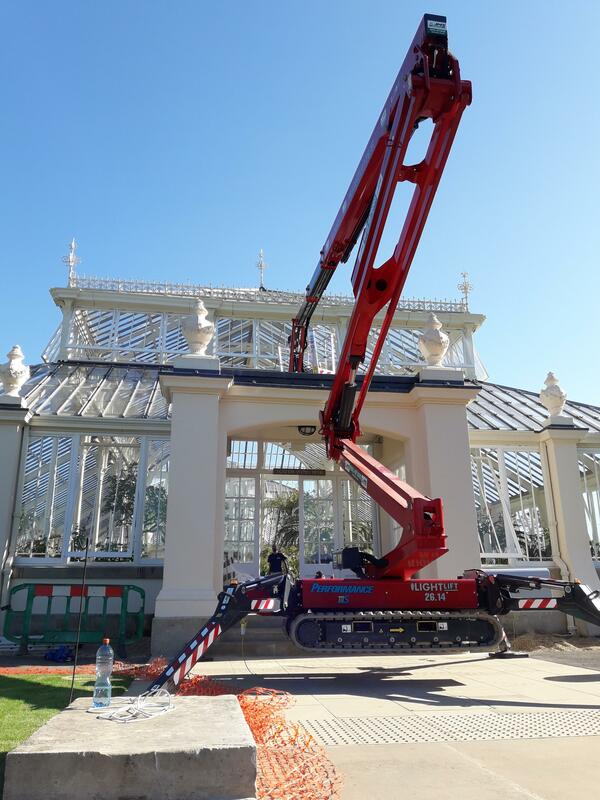 A Hinowa tracked boom has played a key role in the restoration of the world-famous Temperate House at Kew Gardens. 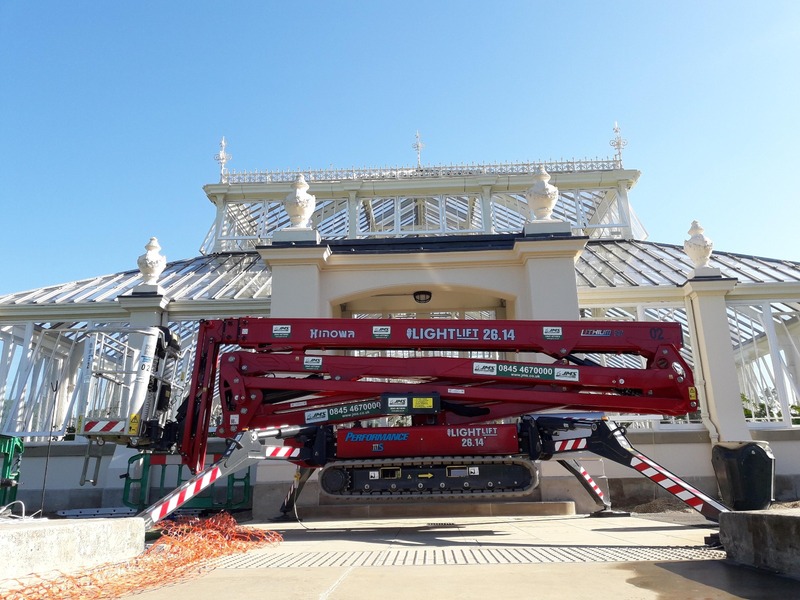 JMS Powered Access supplied two tracked booms to the iconic glass house, including a Hinowa Lightlift 26.14 Lithium machine, which is 100% powered by lithium-ion batteries. The booms were required to support the delicate work of replacing glass in the structure, which is home to some of the world’s rarest plants. 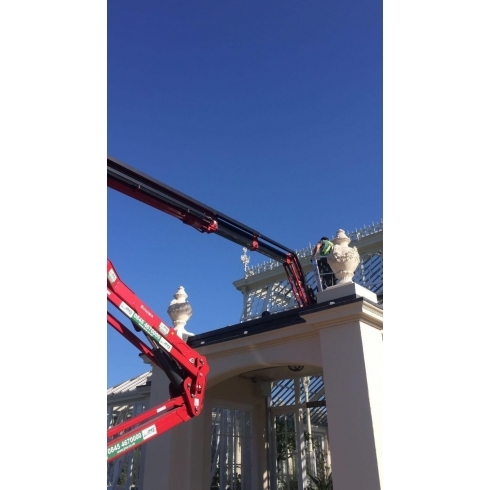 JMS powered access platform operator Tim Barlow controlled the machine from the platform - which also had to accommodate the specialist glass restoration contractor, along with their tools and materials. The Hinowa boom’s up-and-over reach ensured that the contractors could reach the precise point they needed to be; including the centre of the glass house. Tim said: “We’re very pleased to be supporting the restoration of building that’s so important to both science and the nation’s architectural heritage. 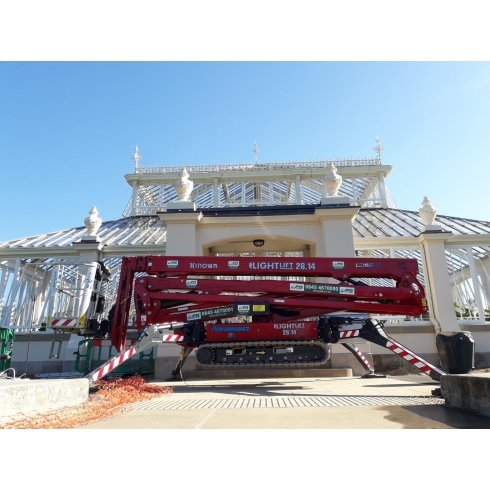 With very low ground pressure, the Hinowa boom was ideal for this task at Kew, as it can travel easily across landscaped areas to reach the worksite, without damaging the terrain. 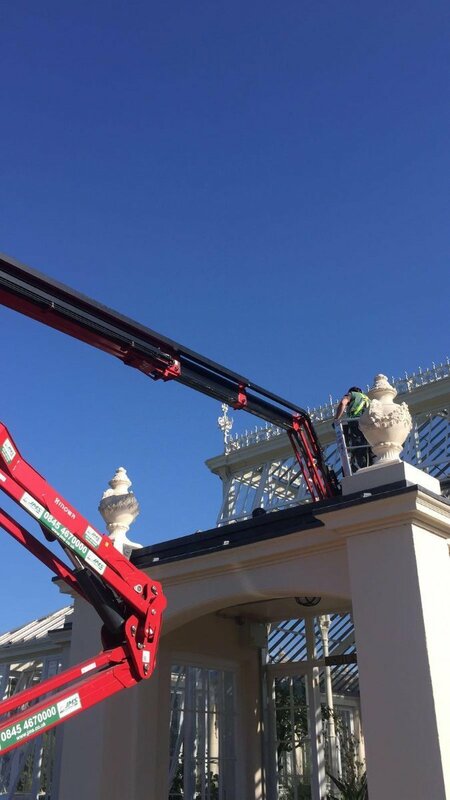 As well as supporting the glass pane replacement, JMS also deployed the Hinowa to lift glass to contractors working on scaffold around the sides of the structure. The Temperate House in the Royal Botanic Gardens at Kew, West London, opened in 1863 and is the largest Victorian glasshouse in the world. The glass replacement work is part of an ongoing five-year restoration project. The glass house had been closed temporarily and was reopened to the public in May 2018 by Sir David Attenborough. JMS Powered Access supplies the very latest range of powered access equipment, with a focus on providing a safe and efficient method of working at height. Based in Harpenden, Hertfordshire, it also has depots at Pinewood Studios and in Leeds, West Yorkshire. For further information, please visit the website, http://www.jms.co.uk/.